I’m a Giants fan, and have been for twenty-five years now. 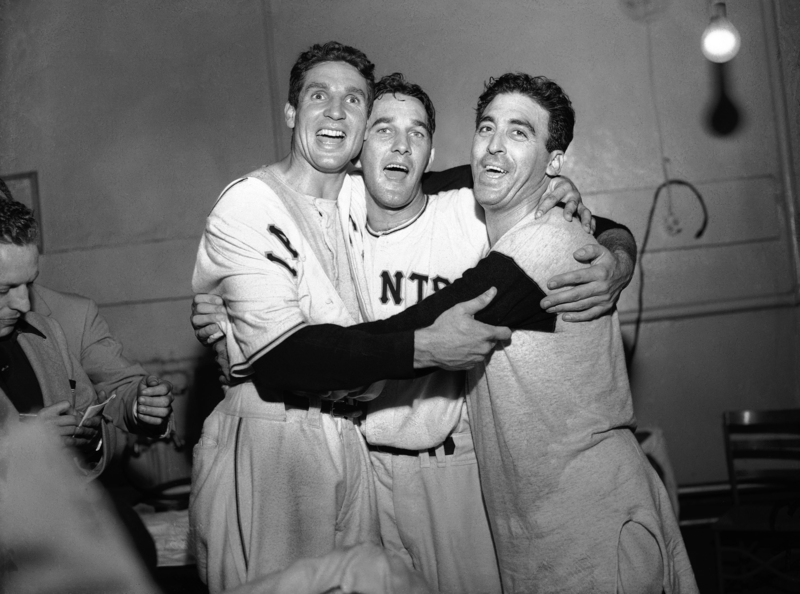 In that time, in addition to following and rooting for the team season after season, I’ve become fascinated by the history of the team, both in its New York incarnation, and in its later time in San Francisco. As I began to research the history of my Giants I began to feel that there was a history of the Giants that had never been written — a history of good and ordinary players, a history of puritanical and tippler owners, a history of happy and heartbroken fans, a history of games that meant something at the time but mean nothing now. I had read so much about John McGraw and Willie Mays, and so little about Benny Kauff and Hank Thompson, that when I began to find out things about those players I felt that I had stumbled across a wilderness, fascinating –and I knew then that I must write about them. This site will attempt to tell the history of the Giants, but not in any predictable, chronological fashion. It will examine people and events that interest me (and I hope you), in the moment they interest me. Baseball histories usually try to answer the big questions. Who was the greatest player ever? Who was the greatest pitcher ever? What was the greatest team ever? Who should be in the Hall of Fame? I’m sure I’ll write about some of those questions. But I also want to discuss the small questions, to give a sense of what it was like to be a Giants fan in 1885, what were the passing news stories in 1940, what were the petty controversies of 1994. Sometimes I’ll try to correct misunderstandings about a period. Sometimes I’ll bring to bear some of the newer, sabermetric methods to answering questions. Always I hope to link smaller stories about baseball to larger forces acting on and within the game. Like baseball itself, this site is here for you to enjoy. It is a site for those who can abandon themselves to the game, for those to whom the hurried and casual summaries of journalism are inadequate. It is not for people who already know all about baseball, but for those, like me, who want to learn. I also hope this blog will be participatory, that readers will comment on my posts. Some will, unsurprisingly, know more about a subject than I do. They will send links, stories, and facts, challenging my view, sometimes outright refuting it. I hope to embrace this complexity. As Andrew Sullivan has written elsewhere, my role is similar to the host of a dinner party. I can provoke discussion or take a position, even passionately, but I must create an atmosphere in which others want to participate.